The watch collection is designed with love and care and is seen as jewelry that tells time. 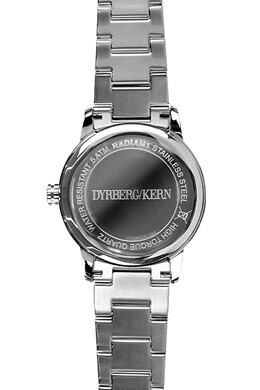 The GENUINE timepiece is made in stainless steel and features a round dial in black marble. For a smooth and trendy look. Links on strap are removable and shown here in a silver toned finish.